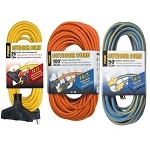 Ideal for plugging in air conditioners, heaters, power tools and major appliances. 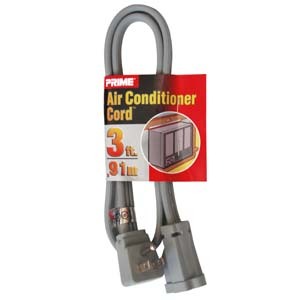 Prime air conditioner and major appliance cords are built-to-last with a lifetime warranty and made with vinyl to resist the cords from cracking, tearing, and breaking. All Prime extension cords have a molded-on bonded vinyl plugs and connectors to prevent breaking off or pull apart from the cord. Features a right angle male plug and is UL/CSA listed for product safety and standards. 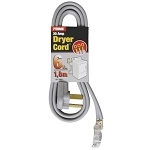 Our air conditioner and major appliance cords come in gray and in multiple cord lengths and wire gauges to accommodate all of your major appliance needs.